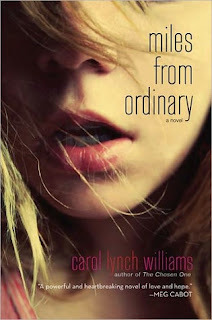 Thanks to St. Martin's, I have an extra ARC of Miles From Ordinary by Carol Lynch Williams to give away to one lucky reader. Check out my review here. It's a very powerful read that truly made me think. You don't need to follow my blog in order to enter this giveaway, but you need to live in the US or Canada. The deadline to enter is April 9th. Please refer to my giveaway rules for more information and fill out the form below in order to enter this giveaway. Also, while you are here, be sure to check out my giveaway for Dark Mirror by M.J. Putney, because the deadline is this Sunday. 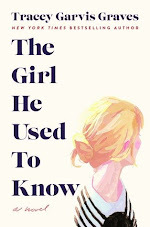 Ooh I've been wanting to read this! thanks for the giveway! This is definitely on my wishlist. I've been hearing great things about it across the board. Thanks for the chance to win!